Burmese teenage girls practice their skills together at a D.C.-area high school. 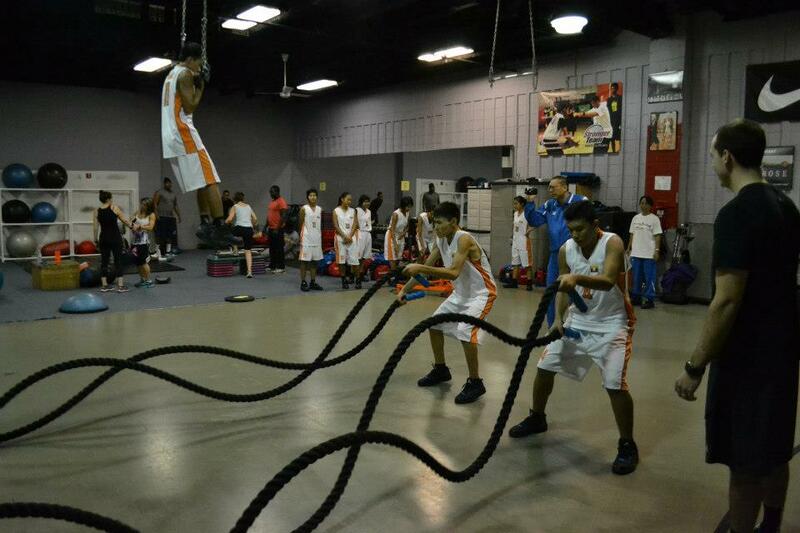 The group participates in a special strength and conditioning clinic in Washington, D.C. 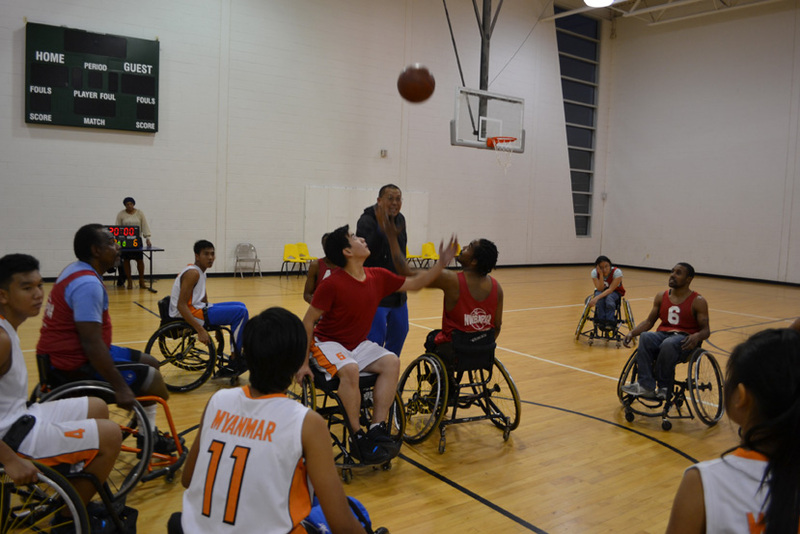 The Burmese group participates in wheelchair basketball for the first time. The delegation works together during a teambuilding exercise. The Burmese visitors take part in a game against their American counterparts in Charlotte, North Carolina. The group poses after a dinner hosted by Ambassador Than Swe at the Embassy in Washington, D.C.
NBA Wizards player Kevin Seraphin joins for a picture with U.S. Department of State Bureau of Educational and Cultural Affairs Undersecretary Sonenshine, Ambassador Than Swe, and the basketball delegation from Burma. 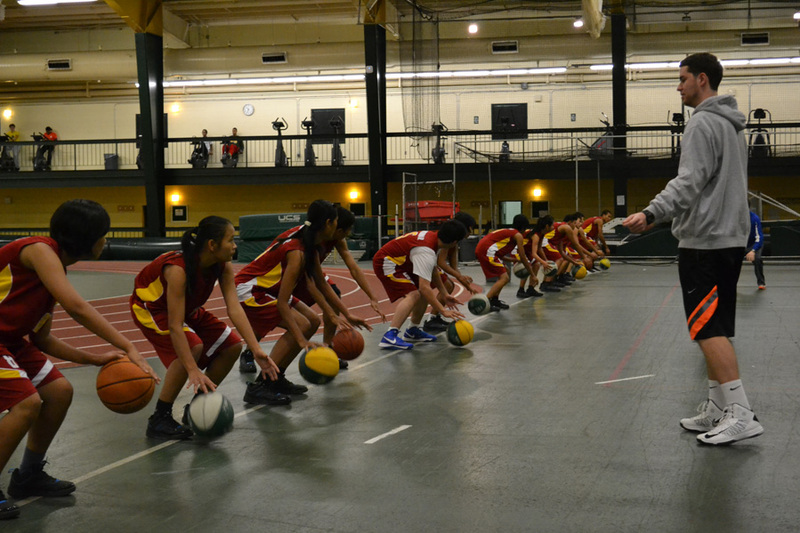 Participants work with expert basketball skills coach Stan Brudish on dribbling techniques. Before the delegation left for the U.S., Ambassador Derek Mitchell had the group for a scrimmage at the U.S. Embassy Rangoon. 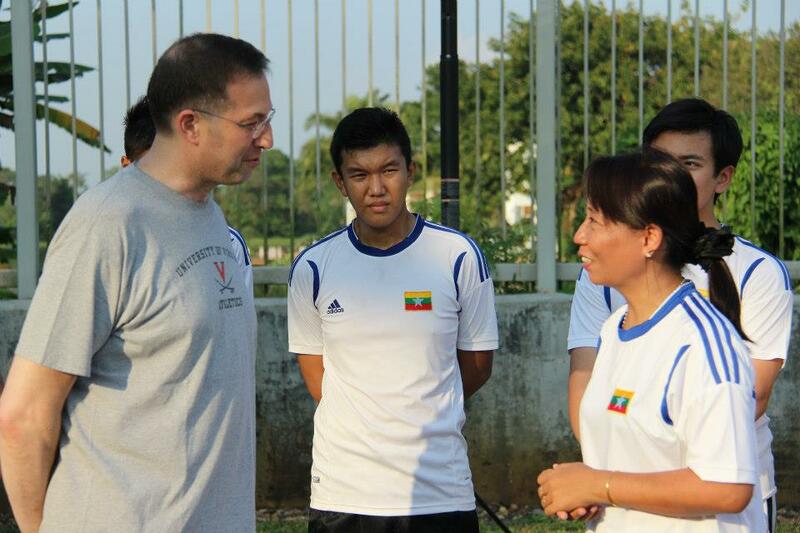 Sports Diplomacy tipped off 2013 with the first-ever State Department Burmese sports visitor program. 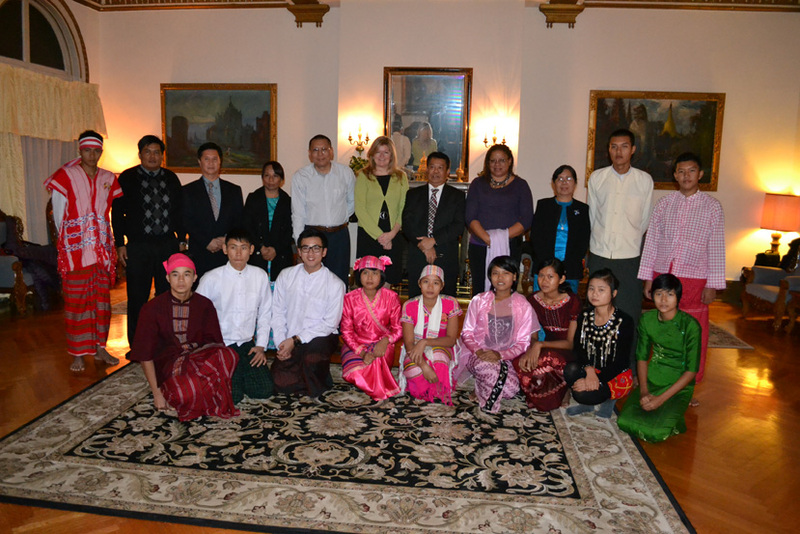 With support from the NBA, the U.S. Department of State brought 12 Burmese youth—six boys and six girls—and two coaches to the U.S. for a ten-day basketball exchange. 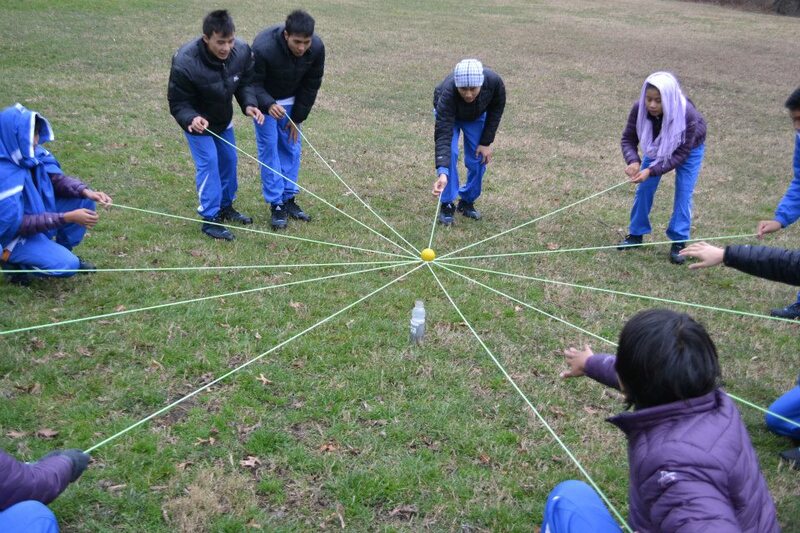 During their time in Washington, D.C. and Charlotte, NC, the group learned about sports in the U.S. by participating in basketball clinics with their American peers and engaging in sessions on nutrition, conflict resolution, and disability sports. 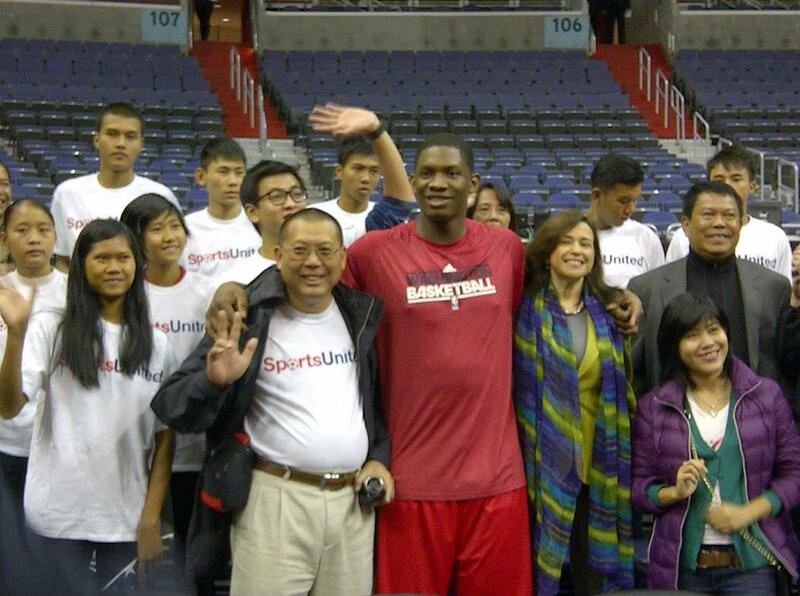 The program built on the Sports Envoy program that sent Charlotte Bobcats General Manager Rich Cho, former WNBA player Allison Feaster, current Los Angeles Lakers assistant coach Darvin Ham, and former NBA player Marty Conlon to Burma as Sports Envoys in August 2012. George Mason University’s Center for Sport Management served as the cooperative partner for the visitor program. Professional Fellows Program: Building Connections between the Philippines and the U.S.